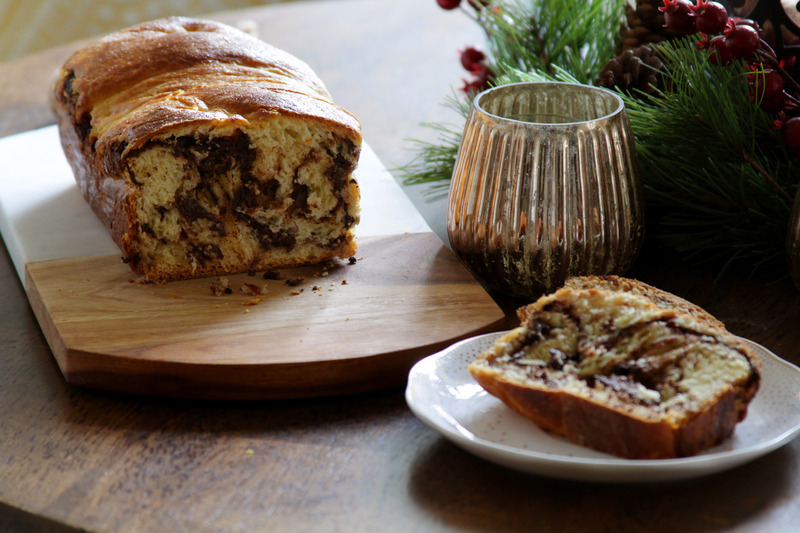 I’ve been making this holiday spiced chocolate babka for the past few years around the holiday season. 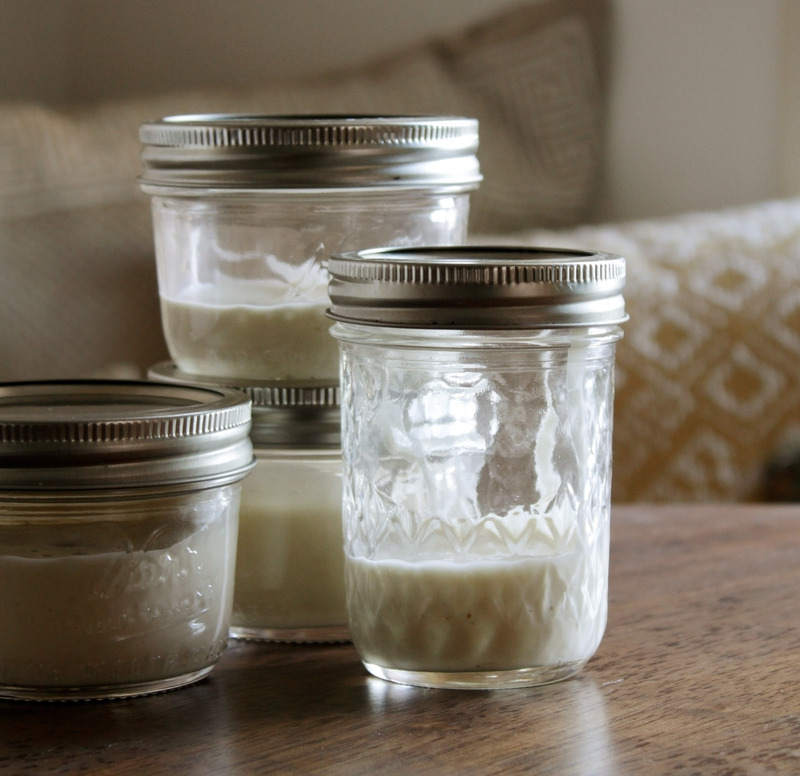 It is a great treat to make during chilly weather when you have a whole day at home to spare. I love adding cinnamon and nutmeg to compliment the dark chocolate, creating an indulgent melt in your mouth flavor that’s excellent for this time of year. Ingredients: 3/4 cup milk, 3 tsp active dry yeast, 3/4 cup and 2 tsp sugar, 3 1/4 cups flour, 2 eggs and 2 egg yolks, 1 tsp vanilla extract, 3/4 tsp salt, 15 Tbsp softened butter, 1 Tbsp heavy cream, 8 oz finely chopped dark chocolate (72% cacao), 2 tsp cinnamon, 2 tsp freshly ground nutmeg. Instructions: warm up the milk in a saucepan until it’s warm but not boiling. Add milk and 2 tsp of sugar to the bowl of a stand mixer and stir gently, then sprinkle the yeast on top. Let stand for about 5 minutes, until it’s foamy. Add 1/2 cup of the flour and beat with a paddle attachment until combined. Add 2 whole eggs, 1 of the egg yolks, vanilla, salt, and 1/2 cup more of sugar while beating constantly. Continue beating and add remaining flour in small increments. Gradually add 10 Tbsp butter until everything is completely incorporated. Transfer dough to a lightly oiled bowl, cover with plastic wrap, and place in turned off oven for 2 hours. Once dough has risen for 2 hours, remove from bowl and cut in half. 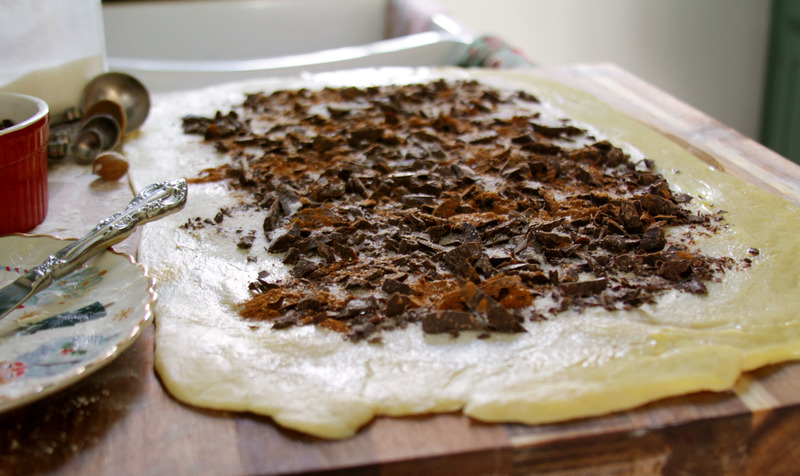 Sprinkle countertop with flour, and roll out the dough with a pin until you have a large rectangle. Beat the remaining egg yolk in a small dish with the heavy cream, and brush along the sides of the dough. Spread 2 1/2 Tbsp butter on the dough, then sprinkle 4 oz of chocolate, 2 Tbsp sugar, 1 tsp cinnamon, and 1 tsp nutmeg over butter. Roll the dough towards you, and seal along the edge. Then make a circle out of the log, sealing on the ends. Quickly twist the circle twice, and place the dough in a bread pan that has been lined with parchment paper. Cover dough with a new sheet of plastic that has been lightly buttered and place back in the turned off oven. Repeat with the other half of the dough and leftover ingredients. Let loaves rise for another 2 hours. Remove loaves from oven and pre-heat to 350F. Remove plastic and brush tops with remaining egg wash, then lightly sprinkle with sugar. Bake for 40 minutes, until golden brown and cooked through. 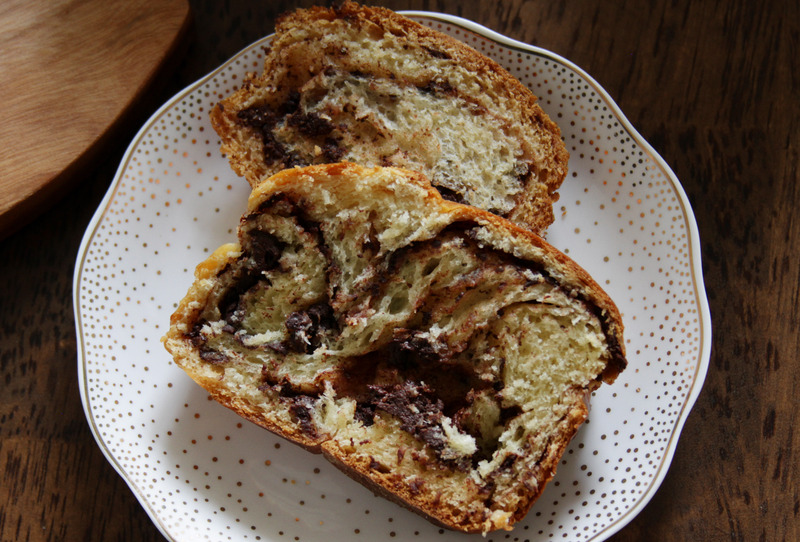 The babka will keep for a couple of days to be enjoyed in the morning with hot coffee, or as a dessert in the evenings. Beans were my very first solid food, and to this day have remained one of my very favorite foods. There isn’t a type of bean I don’t like, and going more than a few weeks without having some form of them is rare for my family. 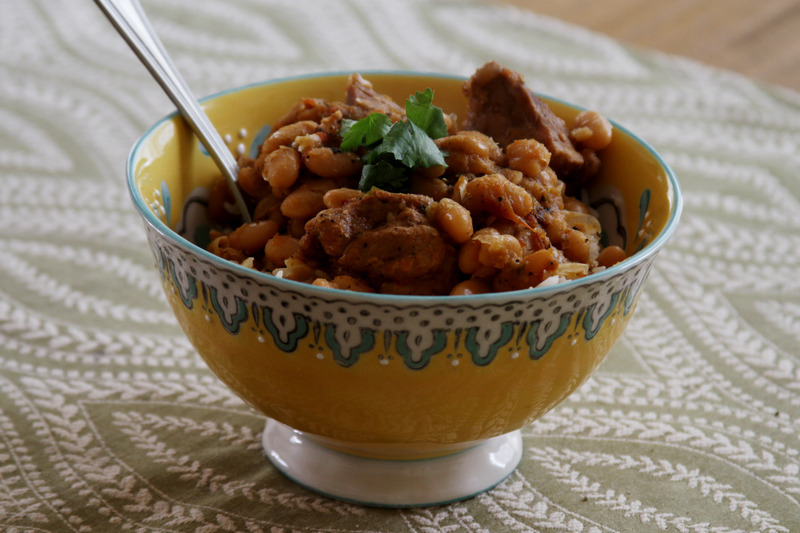 When it comes to white beans in particular, this flavorful and hearty stew beats out all other recipes for this legume. The stars of this dish are of course the beans themselves, and the dry guaque chiles that give it it’s rich and moderately spicy flavor. 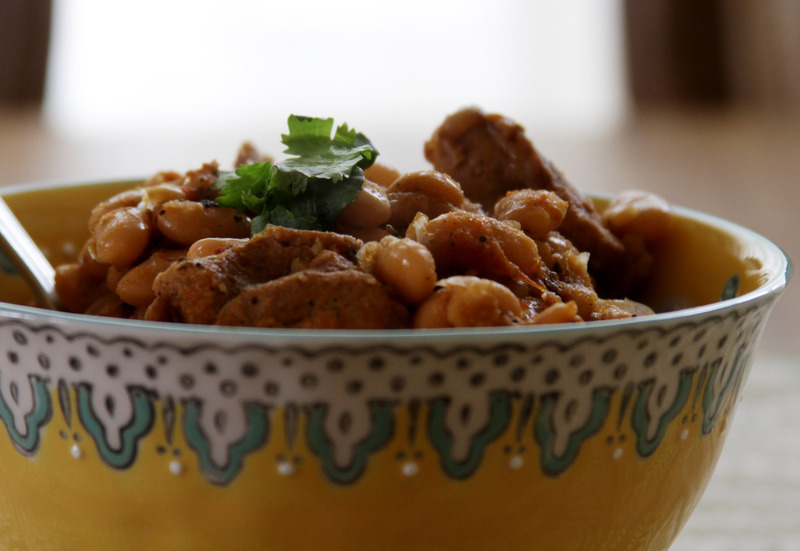 Ingredients: 1 lb white beans, 1 lb pork ribs, 1 1/2 guaque chiles, 3 tomatoes, 1/2 red bell pepper, 1/2 yellow onion, 4 small tomatillos, 3 garlic cloves, 1 bay leaf, 4 sprigs thyme, 2 tsp ground cumin, 1 Tbsp dry oregano, salt and pepper to taste. Instructions: Slice the tomatoes, tomatillos, onion, and peppers, and place on a hot griddle along with peeled garlic cloves. Turn over after 2-3 minutes, allowing the undersides to slightly char and soften. Add grilled vegetables to a blender with a cup of water and blend until smooth. Add the beans, ribs (cut into smaller pieces), bay leaf, thyme, cumin, blended ingredients, salt and pepper to taste, and enough water to just cover everything to a pressure cooker. Cook for about 45 minutes, and slowly allow pressure to release. Add the oregano and stir. If you would like to thicken the stew you can take out some of the beans, blend, and re-add to the stew. Serve hot with rice, and garnish with cilantro. October is nearing its end and we are embracing autumn and all of the treats that go with it. 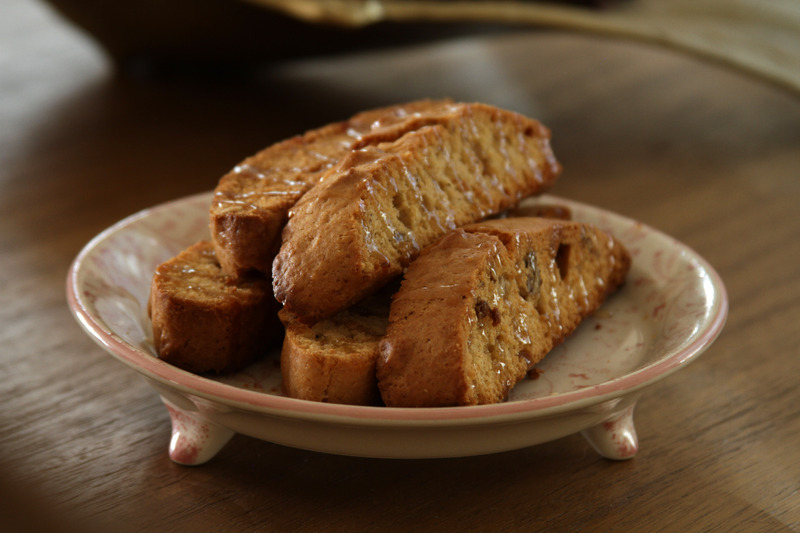 To welcome the new season I made these autumn spiced biscotti with an apple cider glaze that felt just right. They’re not too heavy, but still have a warm and comforting spiced flavor. 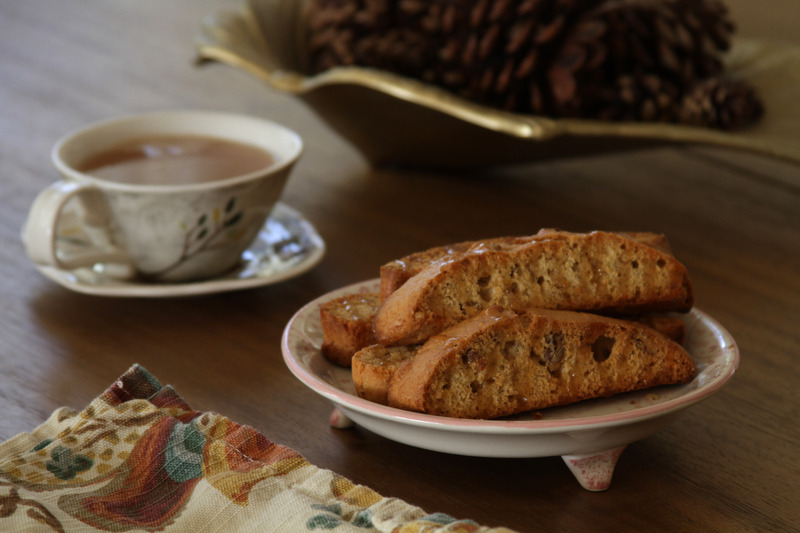 An Italian biscotti recipe from James’ grandmother’s collection served as my starting point, and I then added some classic autumn spices and mixed nuts to make it my own. The apple cider glaze is the perfect touch to complete the flavor profile, and enjoy with warm apple cider. Instructions: Pre-heat oven to 400F. Mix all of the dry ingredients in one bowl, and the eggs and oil in a separate bowl. Whisk the eggs and oil to break up the egg yolks, then add to the bowl with dry ingredients and mix thoroughly. Add nuts to mixture and stir to combine. Scoop out the mixture onto a baking sheet lined with parchment paper to form two loaves, then bake for 25 minutes. Remove from oven and let cool completely. Slice thin slices from each loaf and lay each piece flat on the baking sheet. Return to oven to toast for another 5-10 minutes, until lightly browned. Add apple cider to a small saucepan and simmer for about 10 minutes, until it has reduced by half. Add remaining ingredients, and continue to simmer for another 5 minutes until glaze has thickened to a syrup like consistency. Once the cookies have cooled, lightly drizzle each with the apple cider glaze. Serve with apple cider for a perfect autumnal treat. Ever since getting the pasta attachment for my stand mixer, I have been dabbling in making homemade pasta. I especially love preparing fresh pasta for guests, or for a romantic date night in. Ravioli in particular can be a perfect special dinner for two without spending the money on going out to a restaurant. 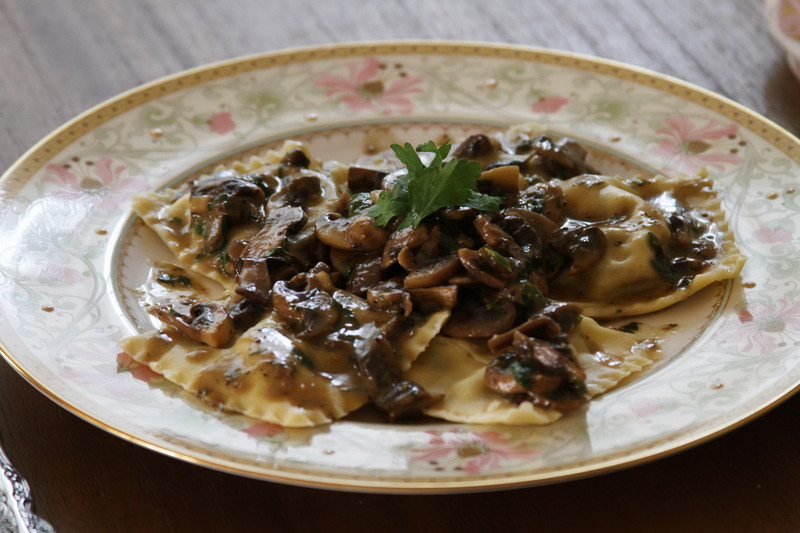 This mushroom ravioli, stuffed with a creamy mushroom filling and covered with an herby mushroom sauce, is one of our absolute favorites. For the pasta: 5oz flour, 1/2 tsp salt, 1 whole egg, 2 egg yolks (reserve one egg white for later). Add all ingredients to the bowl of a stand mixer with dough hook and mix for about 10 minutes. All of the ingredients will come together to form a ball and hook will knead the dough until it is smooth and shiny. Wrap dough in plastic, and let sit for at least one hour. When dough has rested, cut in half and roughly shape each piece into rectangles, flattening with the palm of your hand, and lightly dust with flour. Run each piece of dough through the pasta attachment, starting on setting 1 and gradually making your way to 5. I like to run the dough through each number about 3 times. Once each piece has gone through setting 5 at least twice, cut each strip in half and rest on a baking sheet lightly dusted with flour until ready to use. While the dough is resting you can start making the ravioli filling. Heat olive oil in skillet and add shallots and garlic. Sauté shallots and garlic until starting to lightly brown, then add mushrooms and thyme. Lower heat to low and let simmer gently until mushrooms are cooked through. Add butter and salt and pepper to taste. Remove the thyme sprigs and let the mushrooms cool, then add to a bowl with ricotta and parmesan cheeses. Mix until thoroughly combined. To make the ravioli, lay out the sheets of pasta and place about a tablespoon for each ravioli of mushroom filling along the sheet. Brush with egg whites along the edges of the filling. Cover with the second half of the pasta, then gently press around the edges of the filling to seal each ravioli and remove air. Using a ravioli stamp press each ravioli along the edges to give them their proper shape. Gently pull each ravioli apart and set aside. Bring a large pot of salted water to a boil and cook ravioli for about 3 minutes, until they all float to top. Remove with a slotted spoon and place on plates. Heat olive oil in skillet and add garlic. Add mushrooms and sauté for a couple of minutes, until mushrooms start to lightly brown. Add chicken broth and parsley and let simmer until broth has reduced by about half. Add butter and salt and pepper to taste, mix well. 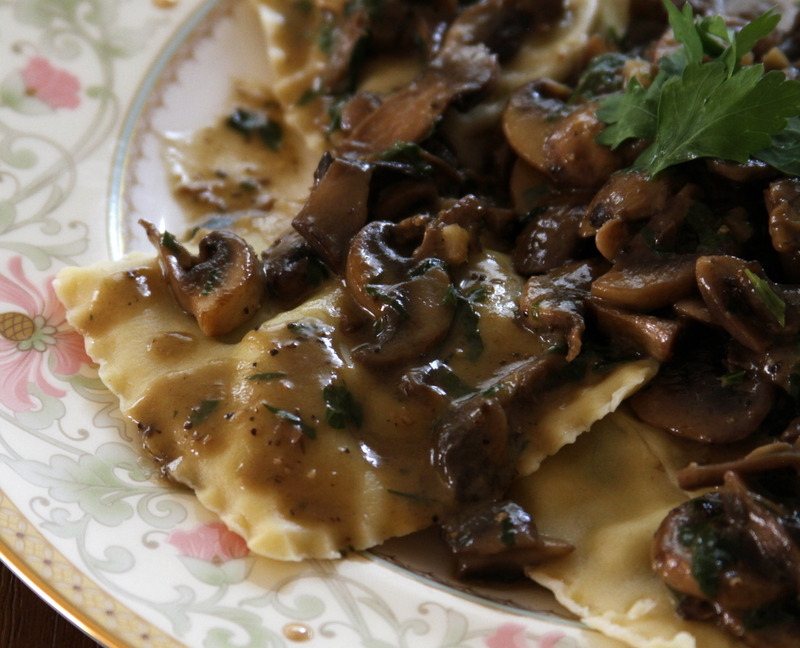 Drizzle mushroom sauce over freshly made ravioli, and garnish with fresh parsley to complete the dish. 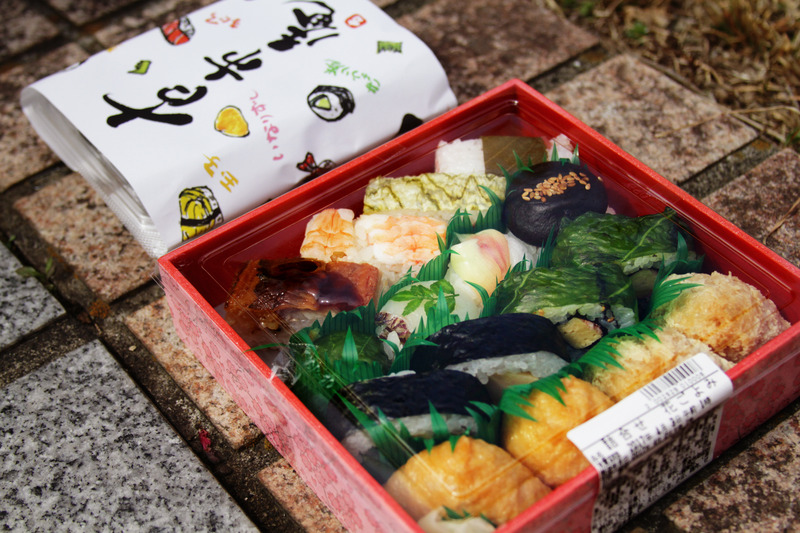 One could easily visit Japan, do nothing but eat, and still have an amazing trip. 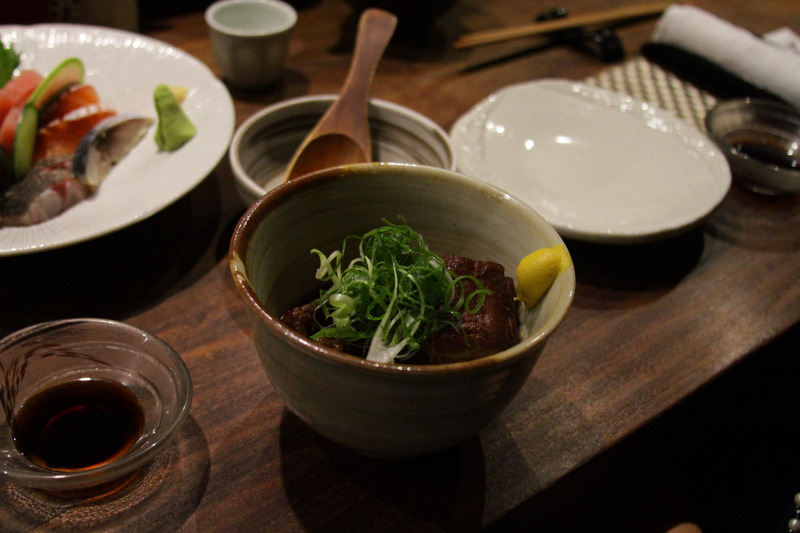 During our stay we managed to not only see some incredible places, but also experience some of the most unique and flavorful cuisine that we have ever had. Trying out all of the food, both familiar and new, was truly an adventure in itself. 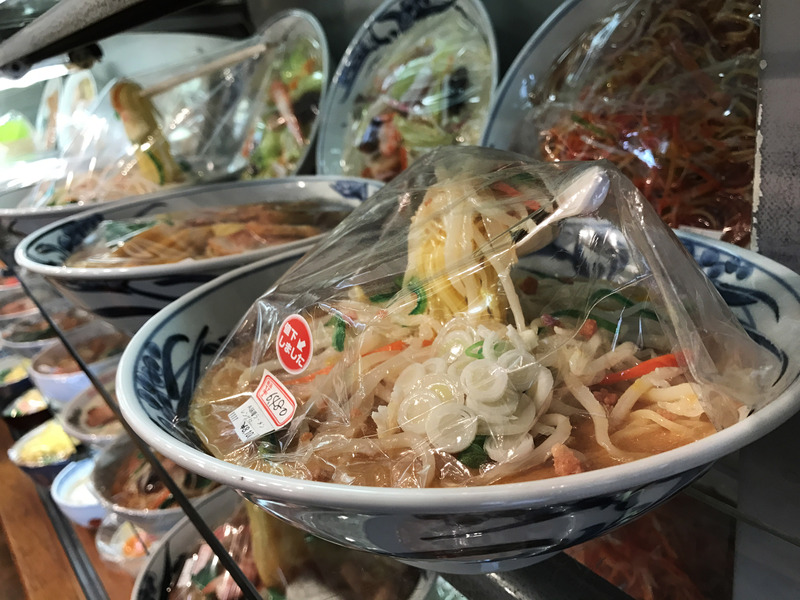 The first thing any visitor will notice when searching for food options in Japan is the consistent use of realistic plastic food samples at just about every establishment. We had heard of the concept before, but did not realize how universal it was until we were there. It was not only fascinating to see the attention to detail in each plate, but also very helpful when it came time to order food, since we could point to our exact desired dish when making selections. 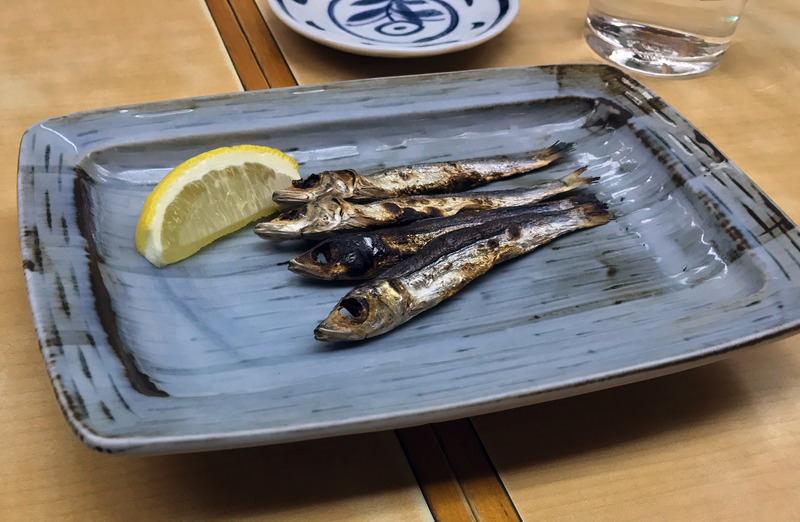 Perhaps our favorite meal of the trip was at Manzaratei Pontochoten, where we enjoyed a traditional Kyōto style meal at a small restaurant with prime seating at the counter. From our seats we could see the chefs putting together lovely little dishes, often ladling in broths and sauces from the various large bowls resting on the counter in front of us. Already one of his favorite foods in general, James proclaimed this was the best unagi he has ever had after his very first bite. 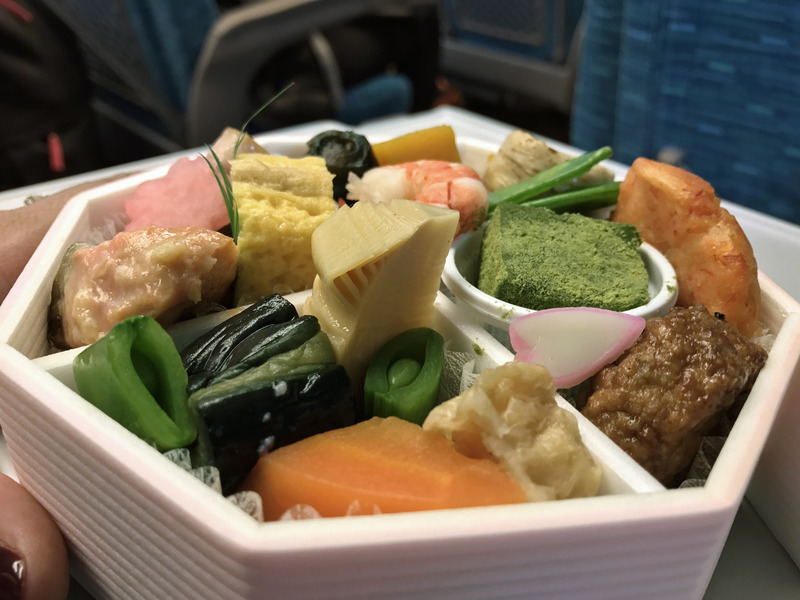 We had several bentō boxes while on the trip. They were pretty and convenient to grab while on the go, and also fun to explore what each one had inside. 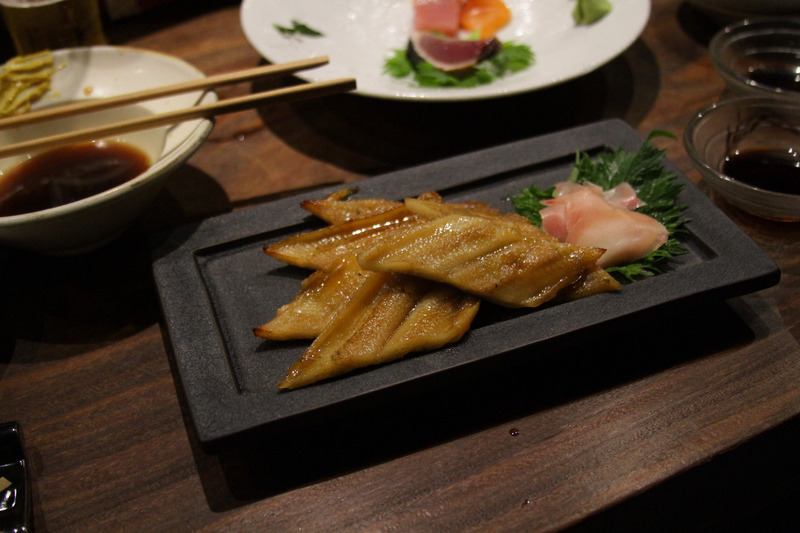 Rāmen in Tōkyō is of course an absolute must, and we tried out a few different ones while on the trip. Ichiran was our favorite one of all, since not only do they have fantastic rāmen, but the experience of dining at one of the their restaurants was completely new to us. The first step is buying a ticket at a machine at the entrance. Then, each patron is seated in their own individual booth and given a sheet to fill out denoting their preferences on things like noodle firmness, spice level, aromatics, and richness. A small curtain separates the booths from the kitchen, and only the hands of the servers are visible as they place your order in front of you once it’s ready. Naturally, we were very much looking forward to eating plenty of raw seafood on the trip, and a simple conveyor belt sushi restaurant in Kyōto Station was one of the most satisfying experiences. 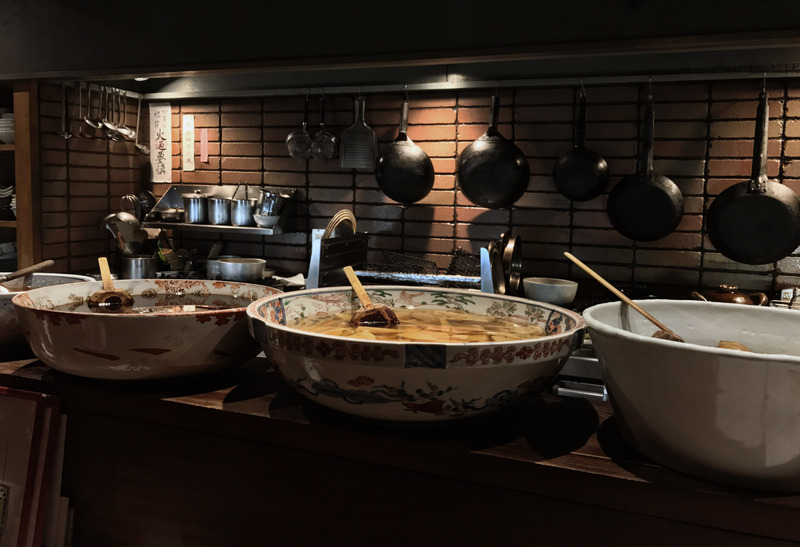 For around one hundred yen per plate, guests simply pick up what they’d like from the belt, and stack up their dishes for a tally at the end. 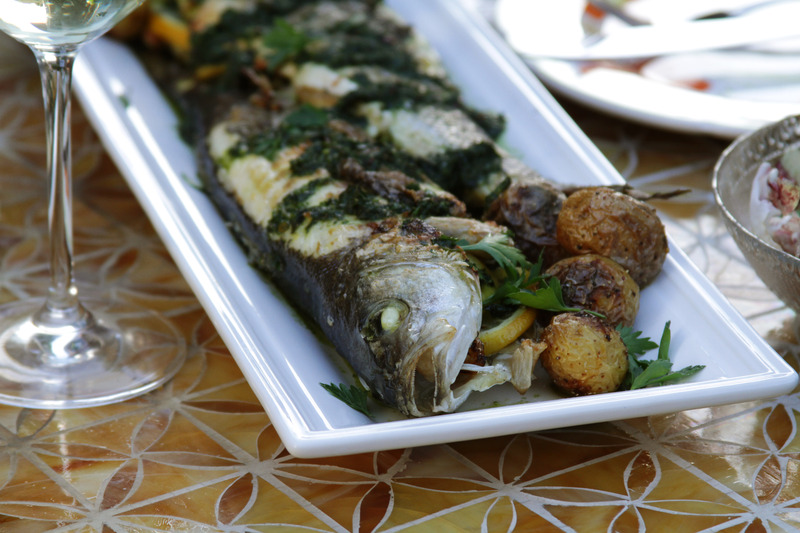 The fish was incredibly fresh, and we tried a few that we had never eaten before. Another must for the trip was trying out all of the street food. 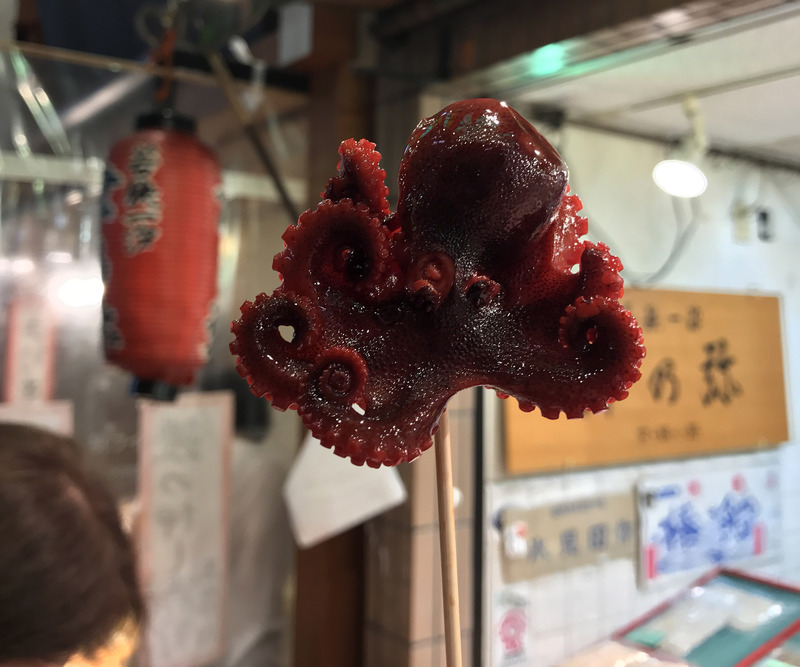 For this we headed to Nishiki Market in Kyōto – a long strip of vendors selling goods such as fresh seafood, pickled vegetables, and just about any ingredients that a local resident may need for cooking. Among the produce shops there are also several vendors selling hot food ready for eating on the spot. We walked through the entire market starting at one end, and made sure to get a wide variety as we made our way through. 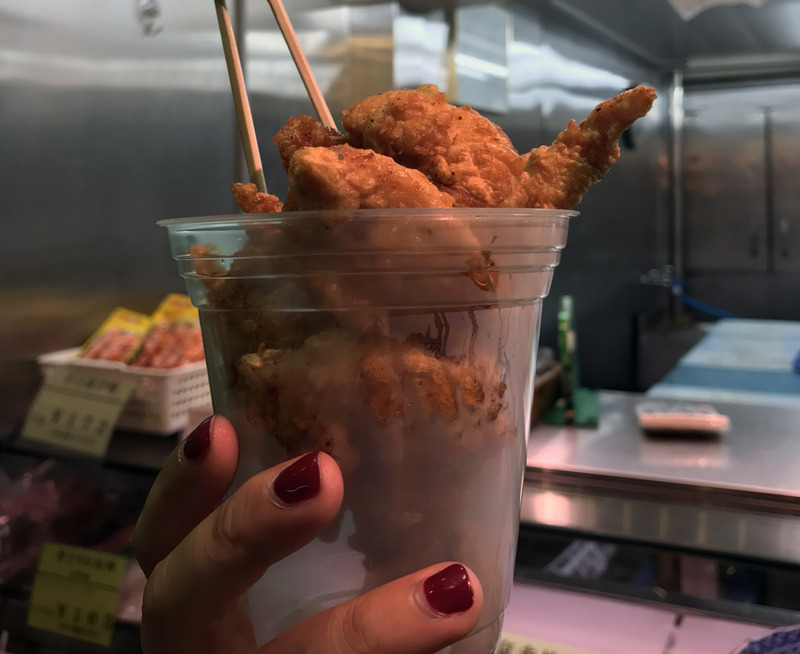 The tako tamago (candied baby octopus stuffed with quail egg) was James’ favorite, while the cup of fried chicken was some of the best I’ve ever had. 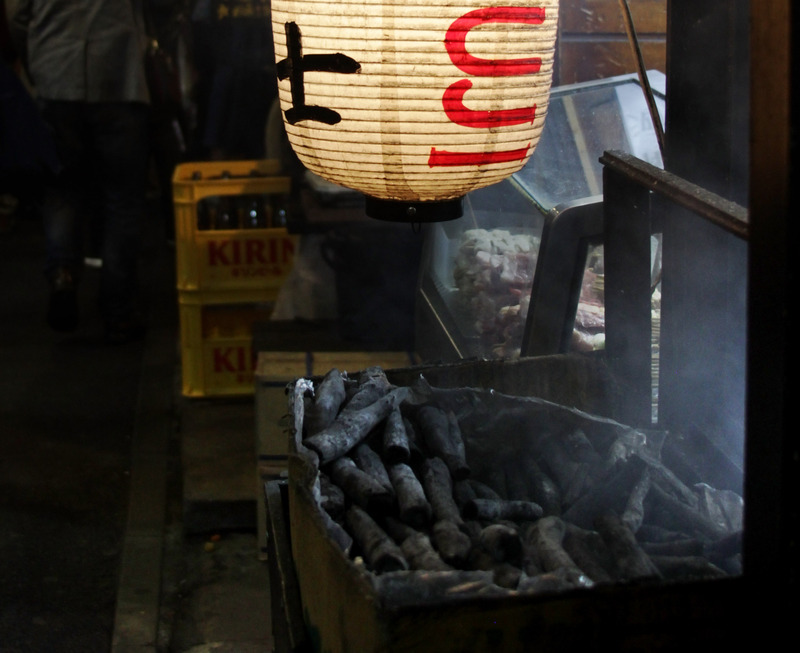 One of our most memorable meals was at what is locally referred to as Piss Alley in Shinjuku. 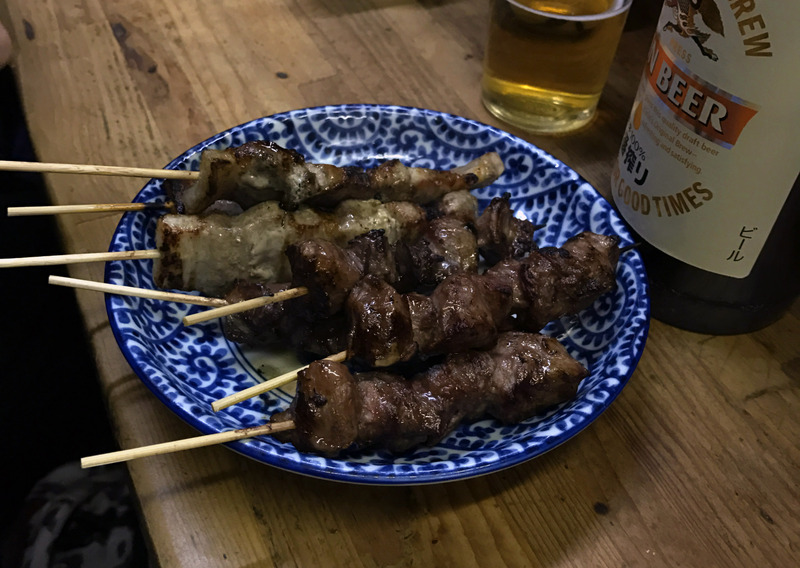 Contrary to what the name suggests, Piss Alley is a fun narrow street where you can sit in a tiny restaurant and enjoy delicious yakitori under the glow of hanging lanterns. After cramming into one of the restaurants, we ordered a great variety of meats and vegetables that were all lightly seasoned before being grilled to perfection over binchotan (Japanese white coals) right in front of us. We had friends who had just arrived in Japan, and we met up with them to share the experience. 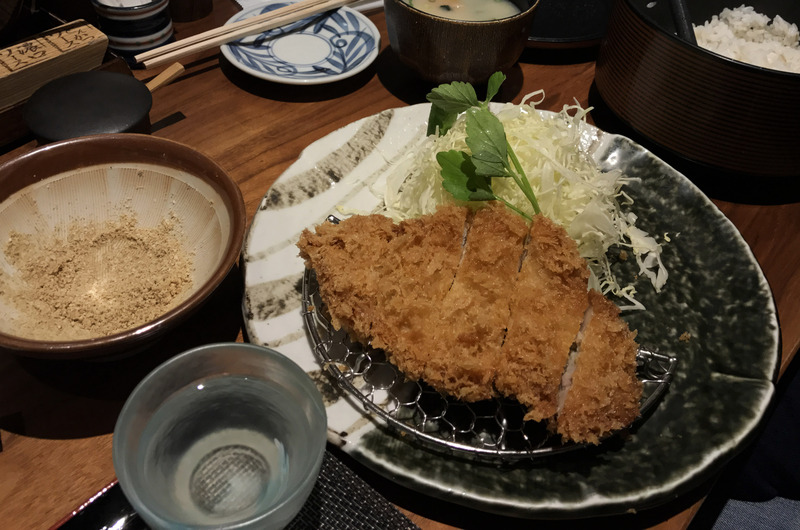 Tonkatsu is a traditional Japanese comfort food. Panko crusted pork cutlets and cabbage salad are served with a small bowl of sesame seeds on the side. We ground up the sesame seeds ourselves, and added our choice of sauce from little pots placed in front of us. The experience was fun and unique, and I brought home a little grinding bowl and sauce pot from a local market to recreate the meal someday. 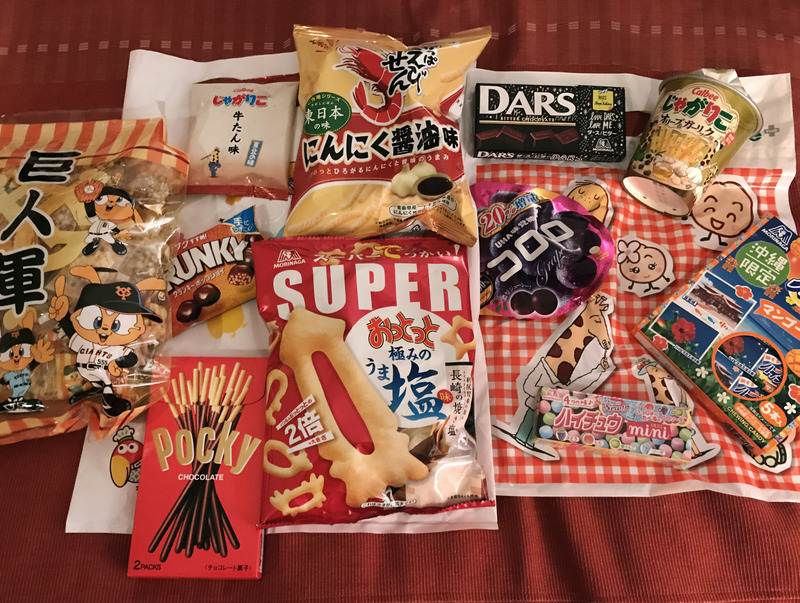 The variety of snacks found all throughout our trip was insanely impressive. 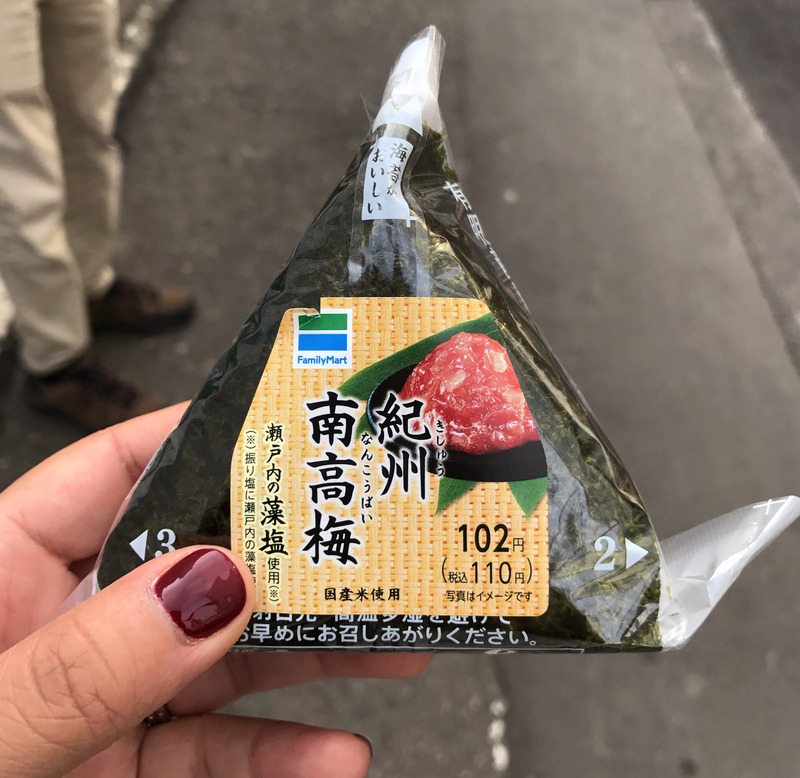 From cat shaped chocolate popsicles, to obscure flavors of Pocky, and the best gummy candies I’ve ever had – there was no shortage of opportunity to try new things. 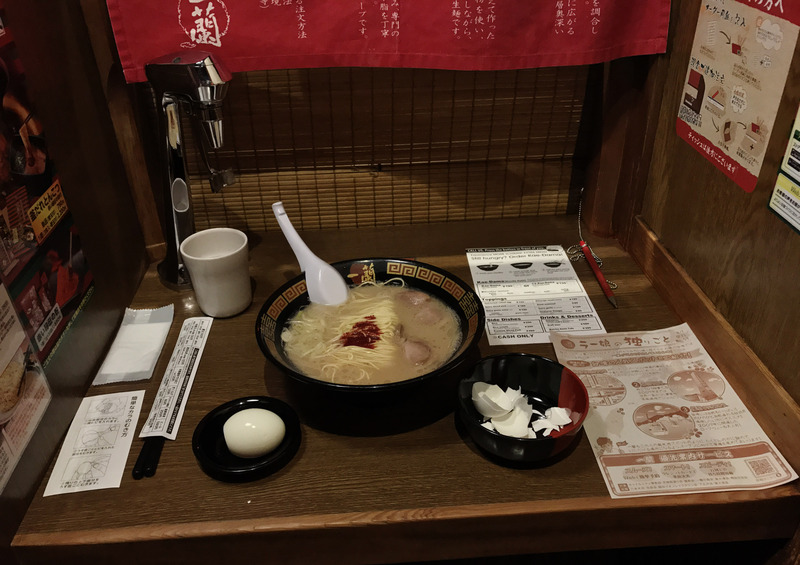 Overall it’s safe to say that the cuisine in Japan is an adventurous experience. Almost every time we saw something interesting to try, we went for it, and were never disappointed. We were consistently intrigued with how most of the foods used the same types of ingredients that we are accustomed to eating in North America, but used in ways that transformed their flavor profiles. 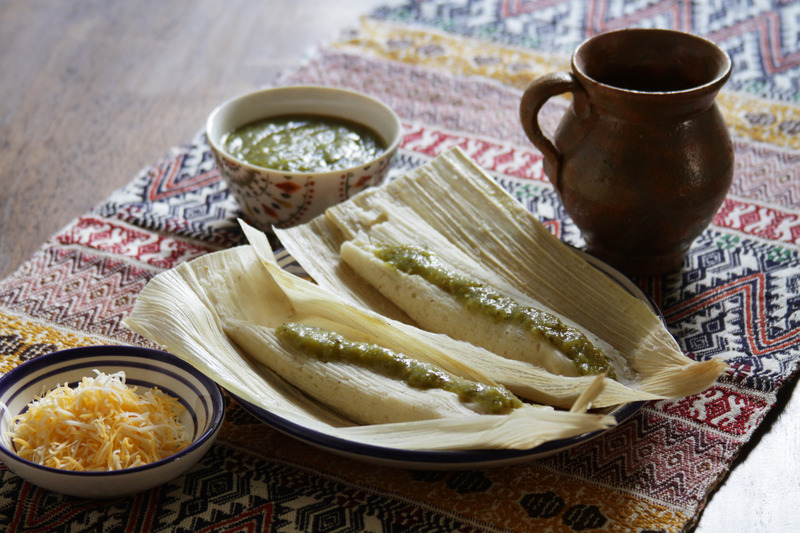 Along with rice, beans, and tortillas – tamales are one of the staple foods I grew up with. The types of tamales have varied widely, from meaty to spicy to sweet, and each one is as delicious as the next. One of the most commonly known is the Mexican style tamale, traditionally made with masa, meat stuffing, and sauce. They’re also fairly simple to make, especially when you have a lazy weekend day to spare. 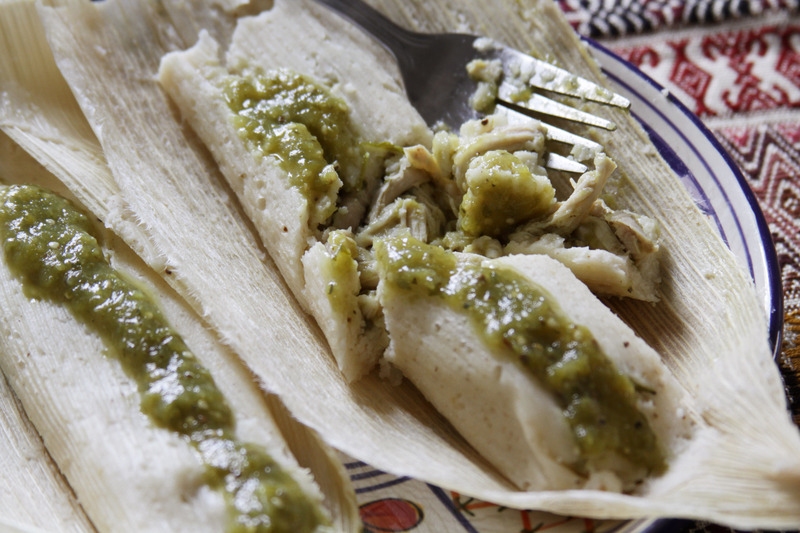 For these tamales I decided on chicken with a salsa verde, which compliment each other perfectly. Ingredients (makes 40 tamales): 1 whole chicken, 3 lbs tamale masa, salsa verde (recipe to follow), 40 corn husks, salt to taste. Before making the chicken and sauce, soak corn husks in warm water and let sit for several minutes. Then place chicken cut into eight pieces in a large pot with enough water to just cover the chicken and boil with 3 tablespoons of salt. Cook the chicken thoroughly, then remove from water and let cool – reserving water. For the salsa verde: 20 tomatillos, 6 serrano chiles, 1/2 large onion, 4 garlic cloves, 2 green bell peppers, 1 large bunch cilantro, 1 teaspoon cumin, 1 teaspoon black pepper, 2 all spice, salt and pepper to taste. 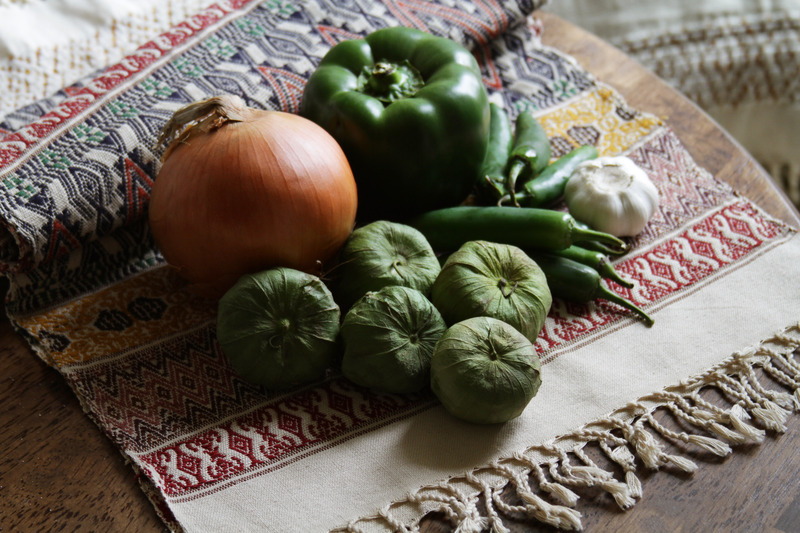 Place all of the ingredients in a pot with no more than 1/2 cup of water and simmer until tomatillos are cooked through and soft. Put everything in a blender and puree until smooth. Shred the cooled chicken, and put in a bowl. 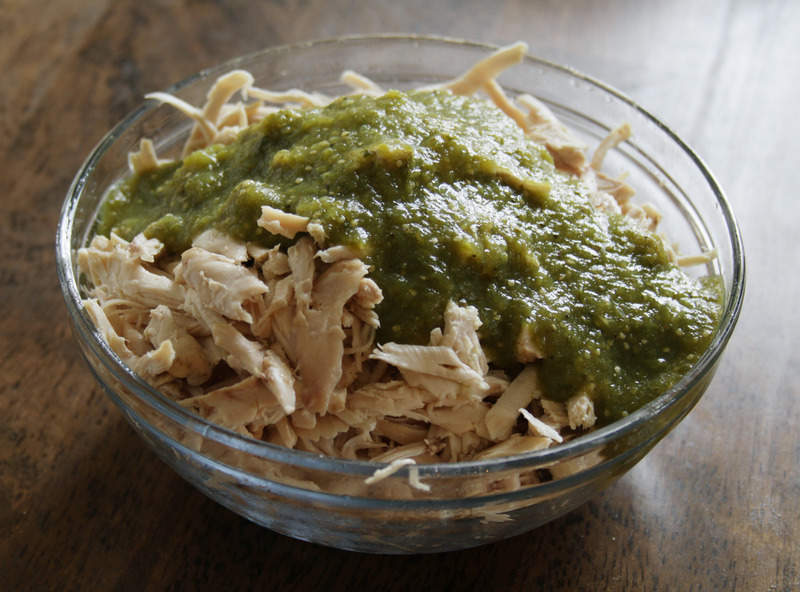 Spoon salsa verde over chicken, and mix to coat thoroughly. Pour masa into bowl of a stand mixer, and gradually add the reserved chicken water with the mixer on medium speed. Mix until any lumps are dissolved, and mixture is smooth. Cut aluminum foil sheets into roughly 10″ x 10″ squares. 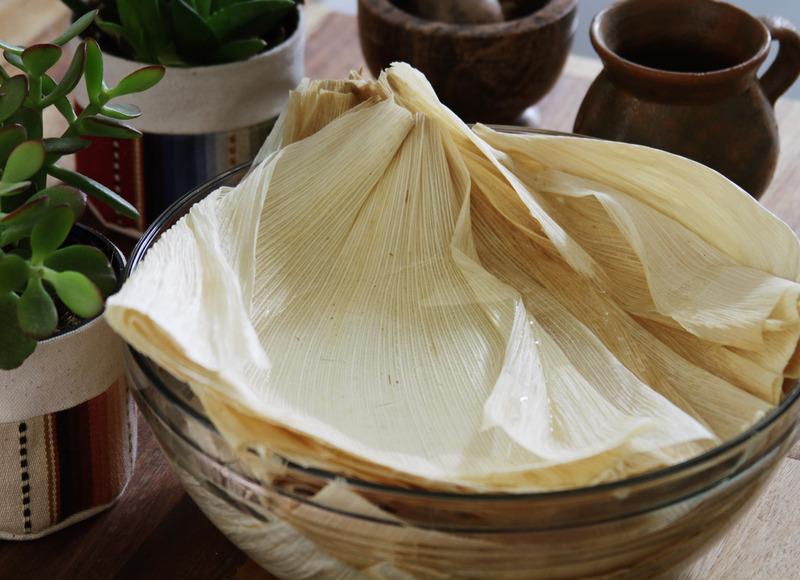 To assemble tamales place a husk on a sheet of foil, followed by a thin layer of masa. Use the back of a spoon to spread the masa onto the corn husk, as if you were thickly spreading cream cheese onto a bagel. Then spoon chicken down the middle. Roll the corn husk to enclose the filling, then wrap the foil tightly around the raw tamale. Place them all in a pot, with about 2 cups of water on the bottom – the steam will do the cooking. Bring to a simmer and let cook or about 50 minutes, covered. Serve with extra salsa verde and cheese on the side. Tamales also freeze very well, making for easy meals throughout the week. 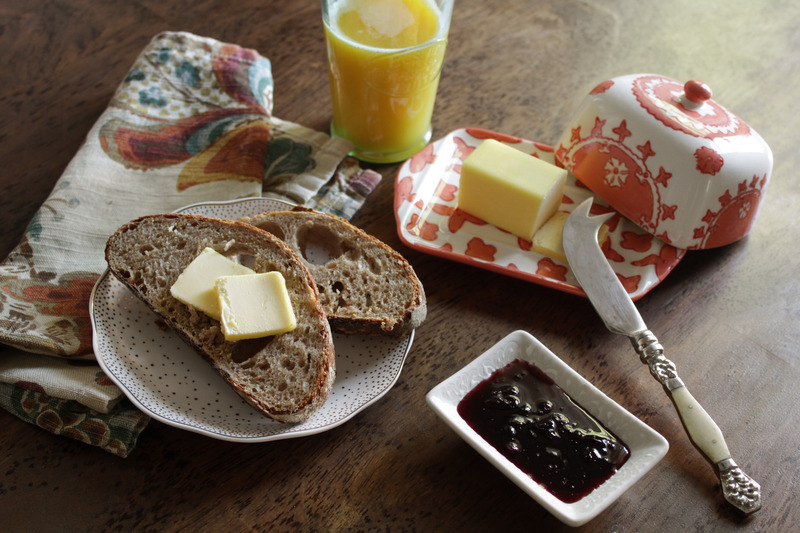 Bread is one of those foods that I love to eat, but had never made myself at home. Though it’s such a staple item eaten all around the world, I always found it a little intimidating. Those three simple ingredients (flour, water, and salt) needed to create a delicious loaf are in most households, but the process of converting those ingredients felt like nothing short of alchemy. 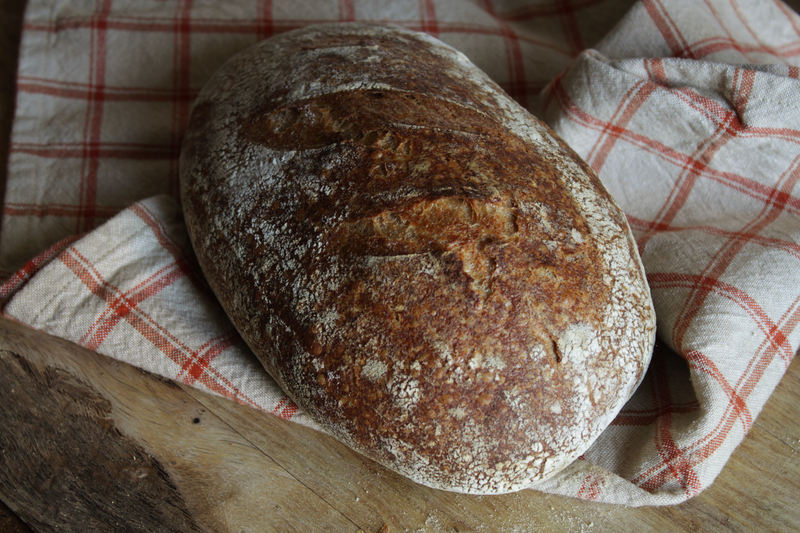 Recently, I finally decided to just go for it and make my all time favorite bread: sourdough. 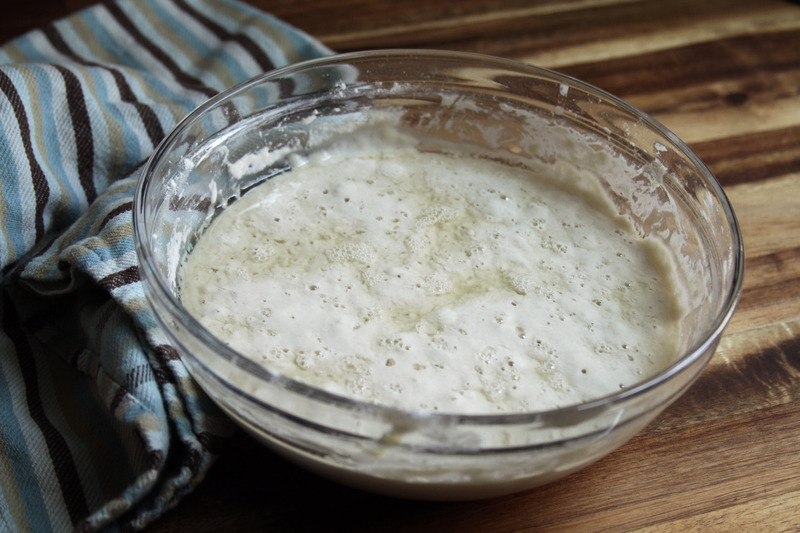 The most important component of sourdough is the starter dough, which will give the bread that essential tangy flavor, and provide the yeast necessary for the dough to rise. 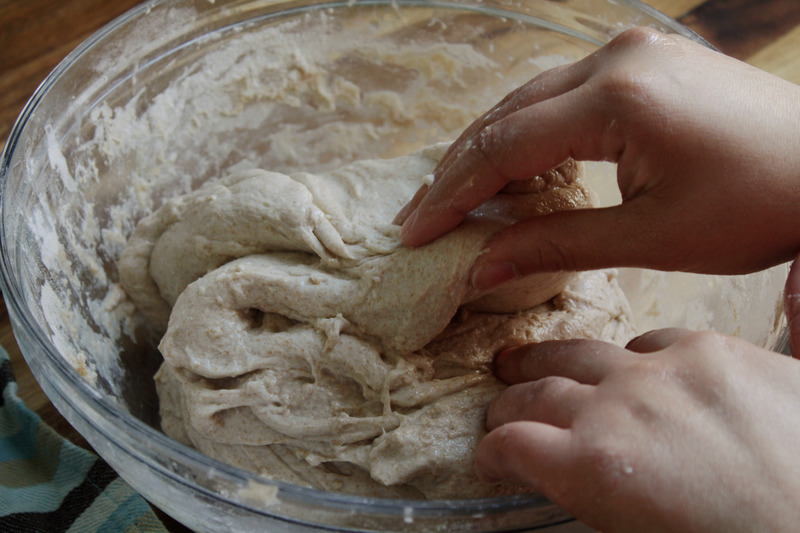 To make the starter dough mix 4oz water with 4oz of all-purpose flour in a bowl. Cover and let sit at room temperature. The next day, ‘feed’ the dough by removing all but 4oz of starter and feeding it 4oz of flour and 4oz of water, mixing thoroughly. Repeat this process every 12 hours for a few days. 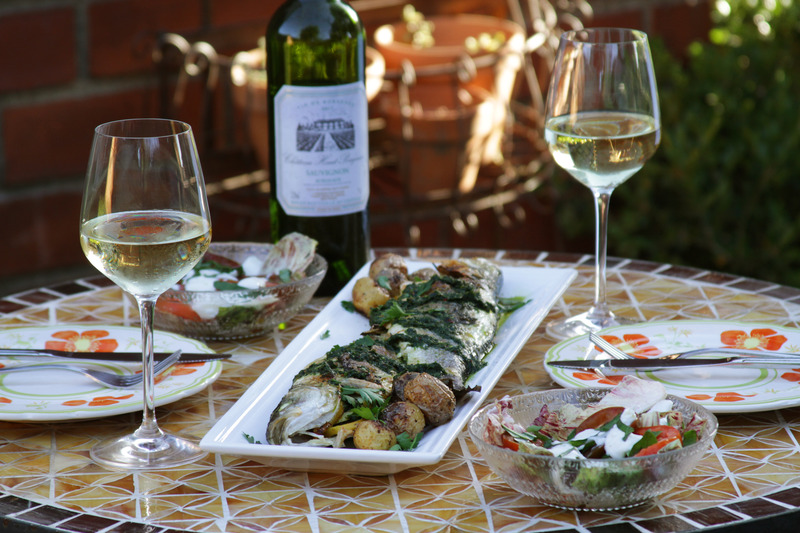 The amount of time for the starter can vary, but it helps to keep it at a consistent temperature away from the cold. You will know it’s ready when it is very bubbly and even a little foamy on top. 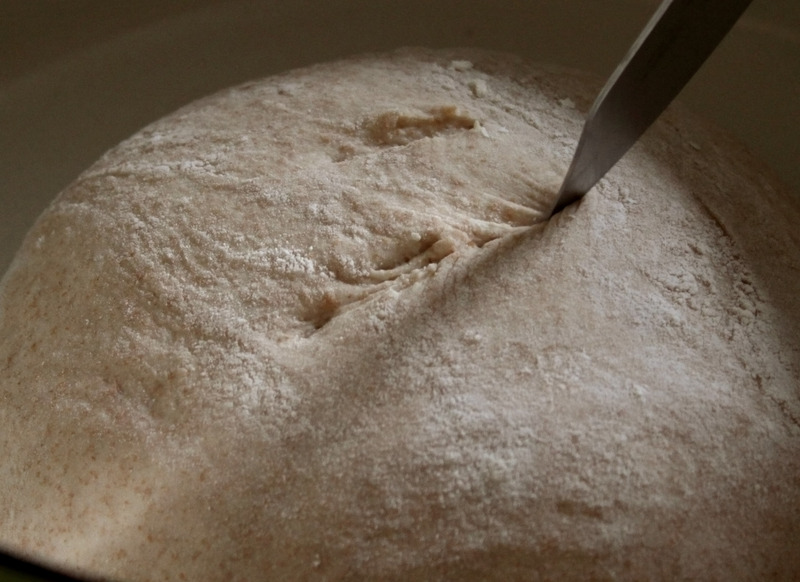 Place any extra starter dough in the refrigerator, and feed once a week to maintain. When it came time to discard and feed the ready starter, I poured some into jars instead of discarding, and gifted to some friends. 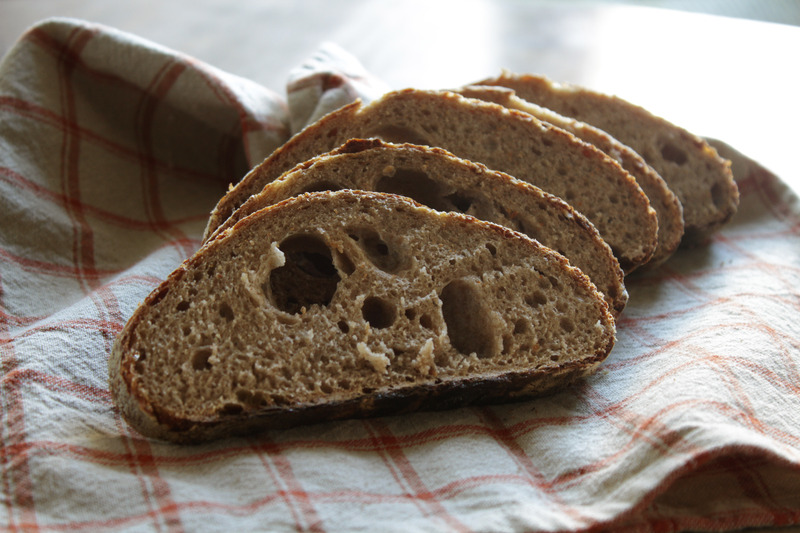 To make the bread: add 30 grams of active starter to 75 grams of all-purpose flour, and 75 grams of water. Mix thoroughly, cover, and let sit overnight or for about 12 hours. Once the leaven is bubbly you know it’s ready. 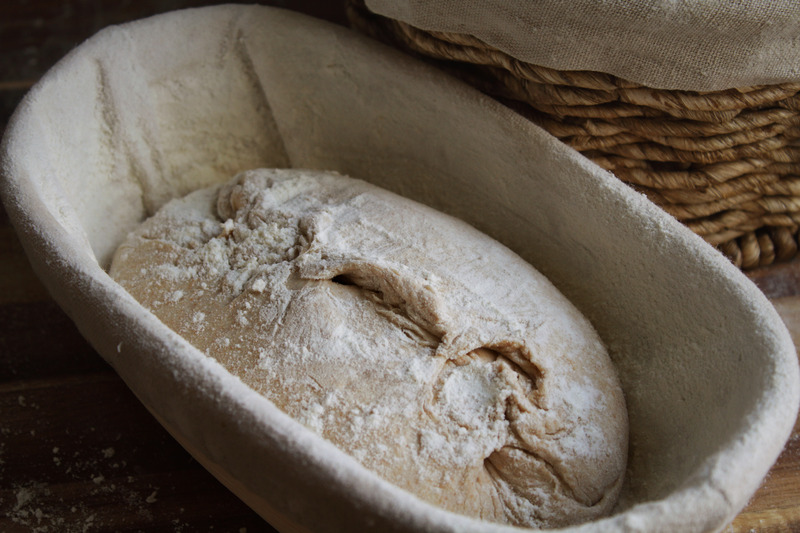 To double check that it is ready, drop a small dollop of the leaven into a bowl of water – if it floats, you’re good to go. Mix all of the leaven in a large bowl with 475 grams of room temperature water. Mix it in with your hands until the leaven has dissolved into the water. 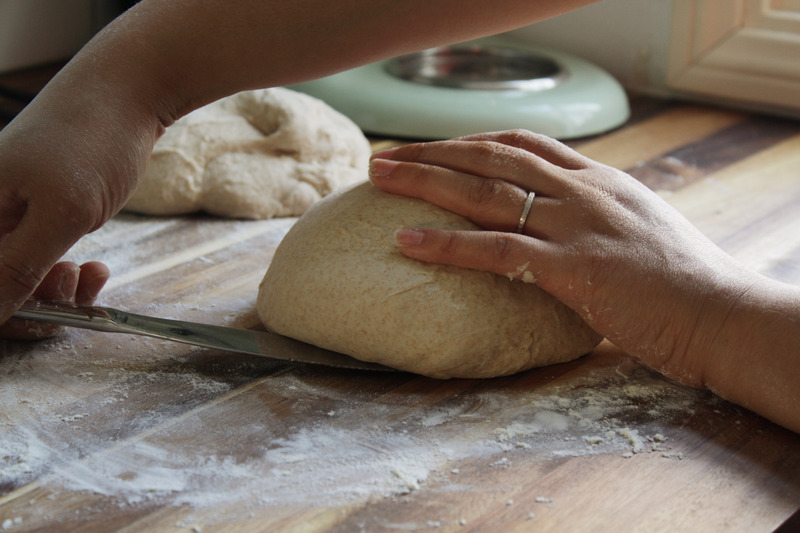 Add 350 grams of all-purpose flour, and 350 grams of whole wheat flour to the bowl with leaven and water. 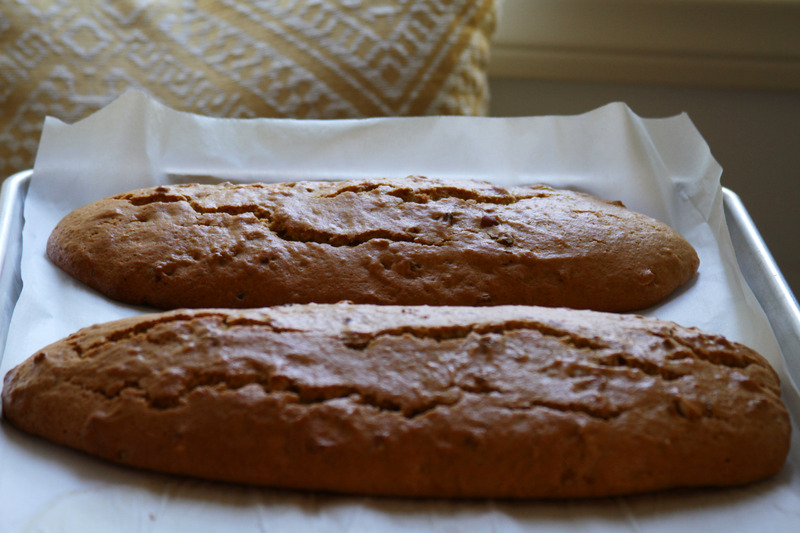 You can also do 700 grams of all-purpose if you don’t want whole wheat, but I think it gives it a richer flavor. Mix until you no longer see any dry flour. Cover and let sit for at least 30 minutes, or up to 4 hours. Once the dough has rested, dissolve 1 tablespoon of salt into 50 grams of water and add to dough. Mix with your hands to combine. Fold the dough, in the bowl, by grabbing one end and folding the dough in half. Then, move the bowl a quarter turn and fold again. Repeat until you have folded it over four times. Cover and let sit for 30 minutes, then repeat the folding process. Do this process a total of 4 times, every 30 minutes. After you have folded it for the 4th time, let the dough rest for about 45 minutes, until it looks a little puffed. Sprinkle flour on your countertop, and turn the dough over onto the flour. Cut the dough in half to pre-shape the loaves. Shape into rounds by running a pastry scraper or blunt knife around the bottom edge. This will start to make the top of the dough taut, and give you a more even shape. Let dough rest for 20 minutes. Meanwhile, prepare two proofing baskets or bowls by lining with a kitchen towel and dusting them with flour. It helped me to lightly spray the towels with water first before adding the flour. Rub the flour into the towel to create a layer of flour on the towel. Give the loaves their final shape by dusting the tops with flour, then turning them over so the flour side is down. Gently take the top lip of the loaf, and fold it into the center, then repeat with the other three sides. The idea here is to make the top more taut. Cup your hands around the edges of the loaf to give it its final shape. Sprinkle with flour, then transfer to the towel lined baskets or bowls, smooth side down. 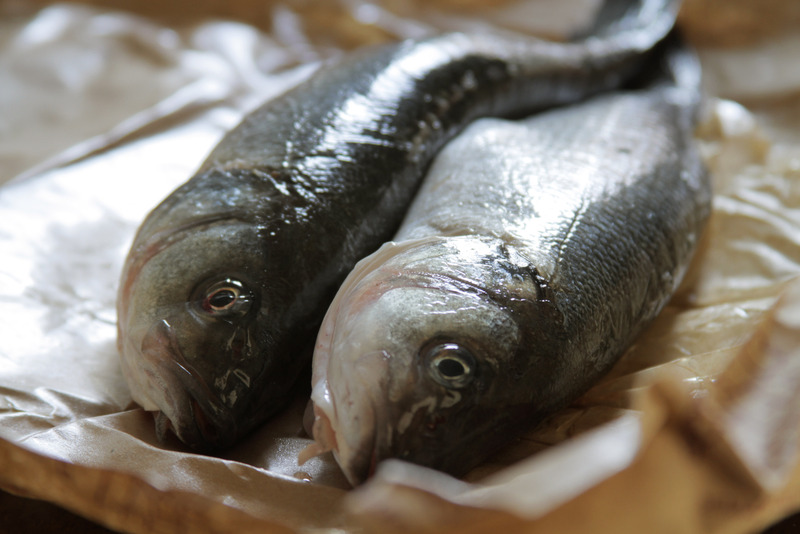 Cover with plastic, and let sit at room temperature for 4 hours, or place in refrigerator and let sit overnight. When ready to bake – place a dutch oven or heavy pot with lid in the oven and pre-heat to 500F. Remove the hot dutch oven from oven, and place one of the loaves inside, smooth side up. Score the top with a sharp knife. You can do three diagonal lines like I did, or do an X in the middle. With the lid on, bake at 500F for 15 minutes, then reduce temperature to 475F for 15 minutes. After the first 30 minutes of baking, remove lid and continue to bake for another 20 minutes – or until the crust has a deep golden brown color. Remove from oven and place the loaf on a cooling sheet for at least 10 minutes before slicing. You will see the quintessential holes filling each delicious loaf. Enjoy it fresh and warm with toppings of choice. The holiday season is in full swing, so I have been baking to my heart’s content. Gingerbread is a classic holiday baked treat, and this recipe is for the true gingerbread lover. The flavor is ultra rich with a perfect amount of holiday spice, which pairs wonderfully with unsweetened coffee and tea. 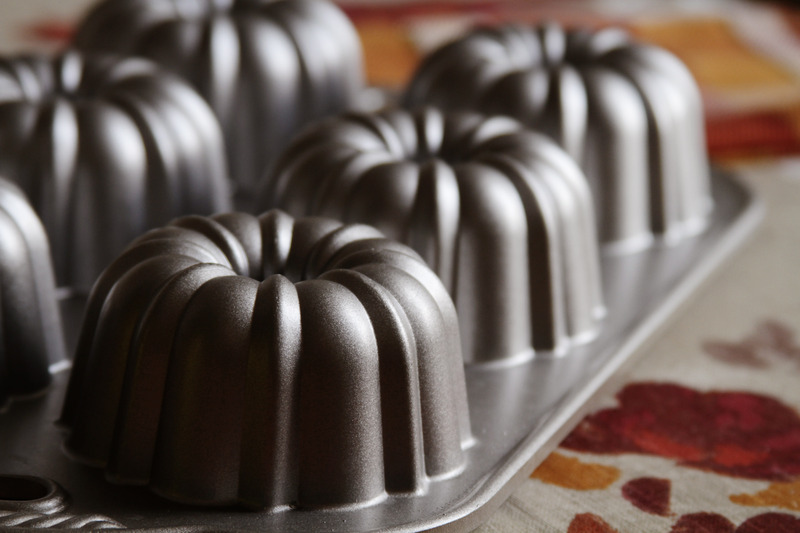 Making the gingerbread as individual sized mini bundt cakes not only makes hosting easier, it also helps for saving them for later – and these mini bundt gingerbread cakes get even better a few days after making. Instructions: Pre-heat oven to 350F. Butter and lightly flour bundt cake pan, shaking out excess flour. Place in the refrigerator. Add oatmeal stout and molasses to a saucepan and bring to a boil, then add baking soda. Let stout/molasses mixture sit and cool. Beat together eggs, sugars, and oil, then add molasses and stout mixture. Add flour, baking powder, and spices and continue to mix until fully incorporated. Pour batter into bundt cake pan, filling to nearly the top. Bake at 350F for about 45 minutes (until a toothpick comes out clean when inserted into cakes). Remove from pan by flipping it upside down onto a cooling rack. Sprinkle with powdered sugar before serving.